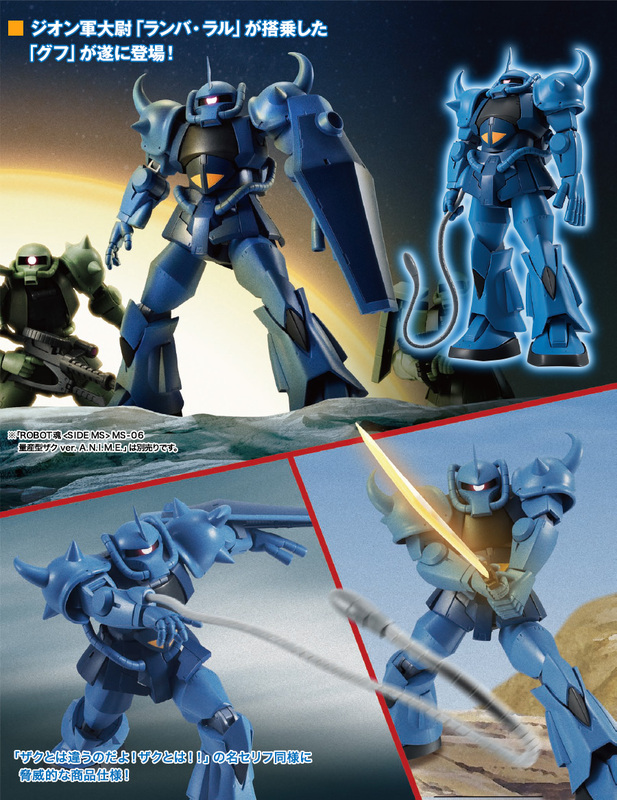 This anime-style action figure represents Ranba Ral's big blue Gouf. 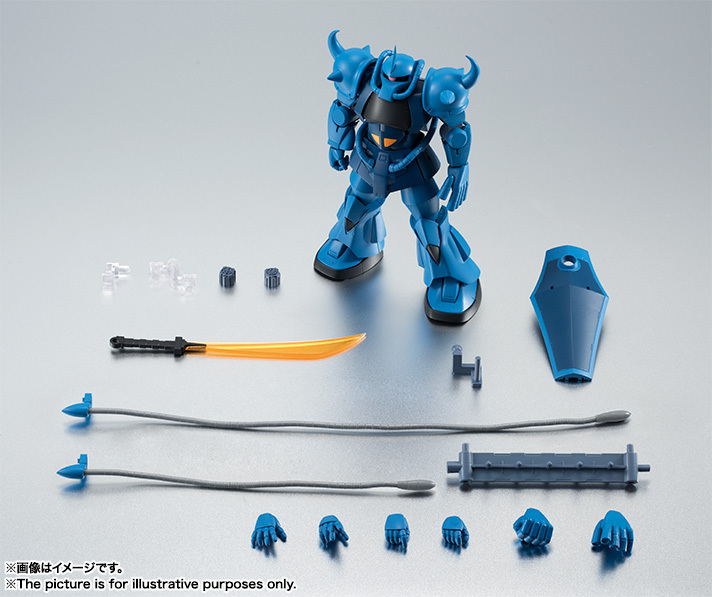 It includes multiple hands, a Heat Saber, two lengths of flexible Heat Rod, parts to represent its freshly dismembered arms, hand rack, and shield parts. Features a movable monoeye. 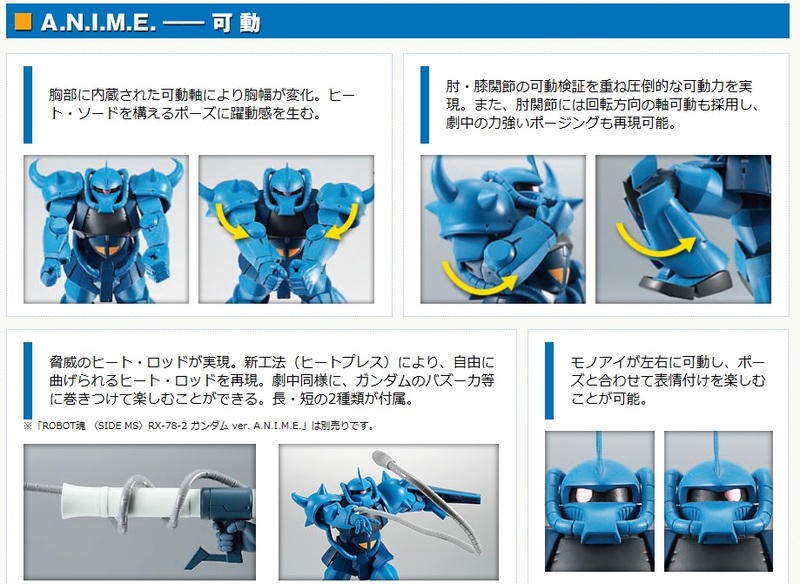 The Gouf is compatible with the exhaust and explosion impact parts included with Char's Zaku ver. A.N.I.M.E. 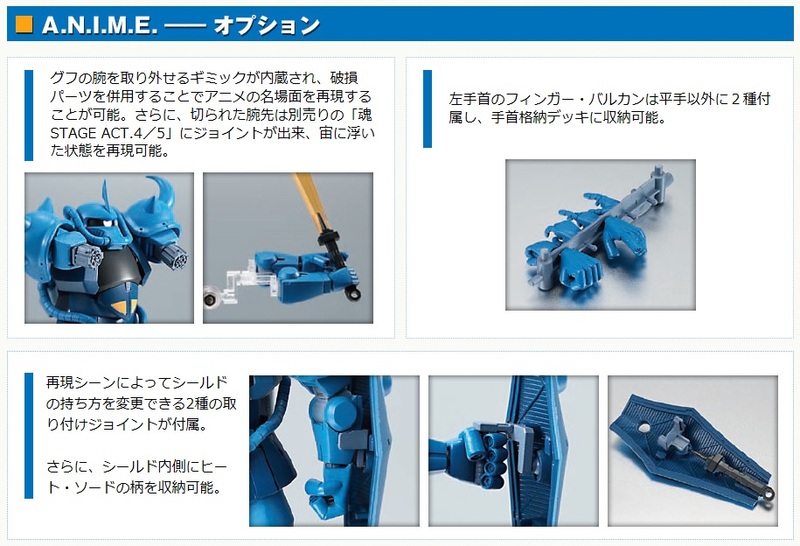 Coming July 2016 for 6,000 yen.